June is an important month for PNLIT. It was in June 2010 that we registered the trust with four founder members - Arathi Manay, Prasanna Vynatheya, OP Ramaswamy and myself. We began with one agenda - save our neighbourhood lake from becoming extinct. 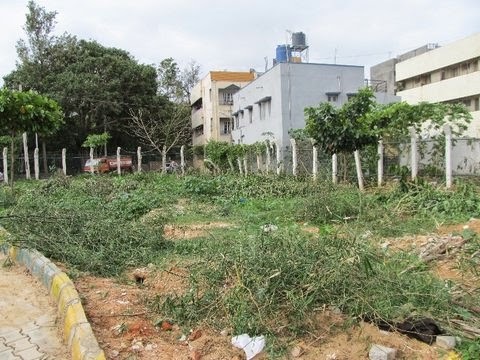 Once BBMP began rejuvenating the lake, we raised the bar for ourselves - to transform it into an avian habitat; involve the neighbourhood in its maintenance. PNLIT completes three years today! A big thank you to the BBMP, contractors, suppliers, staff, donors, volunteers and other well-wishers for another fulfilling year. It is true that we've achieved a great deal but there's a lot more we have to do. Our constraint is manpower. We are only five trustees, Nupur Jain being the fifth and given our personal and professional assignments, at any point in time only one or two of us are available or in town. In addition to our other commitments, we devote very many hours at the lake each day, not to mention the time we spend on planning, executing, coordinating, emailing, contacting different government agencies and officials, individuals, raising funds, interacting with the press and different lake groups across the city, etc. That the lake is steadily coming to life while supporting a wide range of life forms and recharging the water table is what keeps us going. PNLIT has indeed succeeded in ensuring that the Puttenahalli lake does not join the ranks of vanished lakes in the city. Create flower beds. You'll need to identify the kind of plants (preferably which will attract butterflies), source them and coordinate the planting with our volunteers. Cover the boundary fencing likewise with vines and climbers. Requirement as above. Landscaping at select spots (such as the one in Pic1 below). Requirement as above. Set up a vermicomposting unit. It doesn't matter if you don't know how to do this. There are several websites you can refer to such as the one here. The composting unit could come in the corner plot (as we refer to it) near the culvert (see Pic2). This place needs to be cleaned (work already begun with hired help) and maintained. Despite their zeal and enthusiasm, if we do not call volunteers over on some weekends or ask them to come only on a Saturday or a Sunday, it is because we've had a particularly tiring week. As Volunteer Coordinators, you'll need to assign work for the day; reach before the volunteers arrive, arrange distribution of garden equipment and supervise their work. Develop a range of PNLIT products in order to raise funds. Shome Sengupta has offered his help. You can join him. Water from the new diversion channel is falling with such force that it has dislodged the granite stones below it. To reduce the force, we'd like you to explore the possibility of making the inflow cascade like a waterfall into a pond (see Pic3 below). You'll need to get technical guidance (we know a couple of experts) and get the work done through hired help. Coordinate the activities for children who want to take up social service as part of the International Award for Young People. This is a great way to promote conservation and the dignity, value of physical work among youngsters who are mostly in Std 9. If you are not able to spend time at the lake, you can still help from home. We have a rich photograph collection of birds and butterflies spotted at the lake. These photos, photos and more photos (all in soft copy) need sorting and arranging. Along with the flora and fauna, they are an invaluable record of how the lake has evolved. 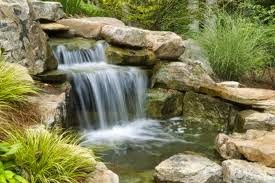 Pic3 - our waterfall dream! By forming teams for each of these tasks, the work load will be distributed and lightened. Though we are no experts, we will share with you whatever we know, give you contacts and of course bear the financial cost involved in implementation. Together we can achieve our ultimate goal of making Puttenahalli, the people's lake. 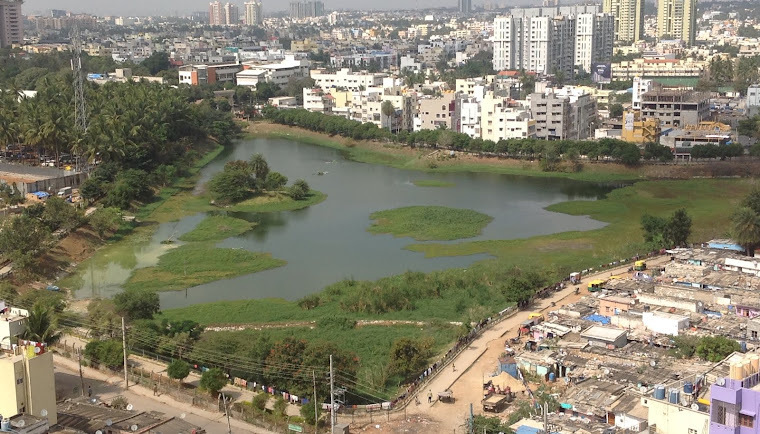 With hundreds of lakes in the city vanishing, ours is a rarity - a thriving lake. Let's keep it that way for our children's sake. Puttenahalli Lake rejuvenation has been a wonderful story and all your efforts towards this is highly appreciated. And it is NO easy job to work with the BBMP and other organizations to pull off this. So I am wondering if you can help other lake rejuvenation efforts - Arakere, Begur, Sarakki lakes in the area ? 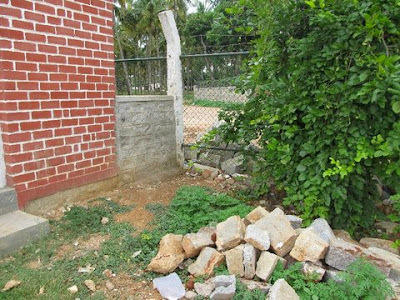 I know Puttenahalli is your baby and very close to your hearts, I think you have set it up for it to grow on its own - nature will take care of it as long as the basic protection from encroachment and sewage. I think the other lake committees need your help and leadership in moving forward. 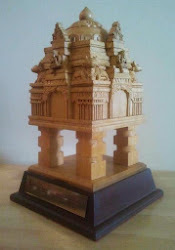 Again, your efforts are very well appreciated and by all means it is a fantastic achievement in a large city like Bangalore which is very poorly managed. BTW, I am very much interested in the composting effort even though I don't live in the neighborhood. We are very much in touch with other lake groups. Arekere and Sarakki groups formed after meeting us. Unfortunately though, other than giving advice and encouragement, we are not able to devote any time at these lakes because our work isn't done yet with Puttenahalli. As someone remarked, this is a baby that's never going to grow up! I guess this will be true of all lakes and open public spaces. The basic protection itself is a lifelong commitment!